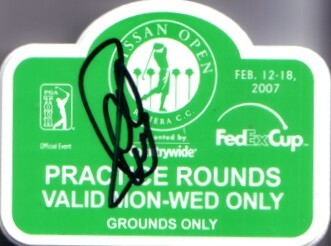 2007 Nissan Open practice round badge autographed by Charles Howell III, who won this event played at Riviera Country Club in Los Angeles. With certificate of authenticity from AutographsForSale.com. ONLY ONE AVAILABLE FOR SALE.